History: Organized in the Starmount Community. One of the club’s first projects was the landscaping in front of the stone work between Lakewood and Starmount Drives on Friendly Avenue. Two of the members were co-chairmen for the Council’s first decorator house. Over the years, our members have been chairmen and hostesses for the annual Home and Garden Tour. Three of our members served as President of the Council, and several have served on various committees on the Board. Our 40th anniversary was marked with all meeting attendees wearing a hand-decorated hat and carrying white gloves to commemorate a bygone era. Our 50th anniversary was a luncheon with a specialty cake and several former members in attendance. Our 55th anniversary was celebrated in 2009. Ongoing Projects: Monthly meetings have programs presented by guest lecturers on a wide variety of topics, such as flower arranging, gardening ideas and tips, birds, landscaping, recycling, herbs, etc. Our Christmas luncheon and gift exchange is a special highlight each year. Garden therapy projects for nursing home residents were undertaken for the past two years. Our club members also share in the task of maintaining the courtyard at the Council building. 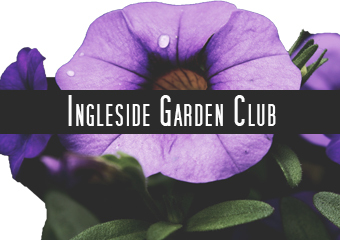 Interested in joining a local garden club? Fill out this form, choose a club, and someone will contact you.